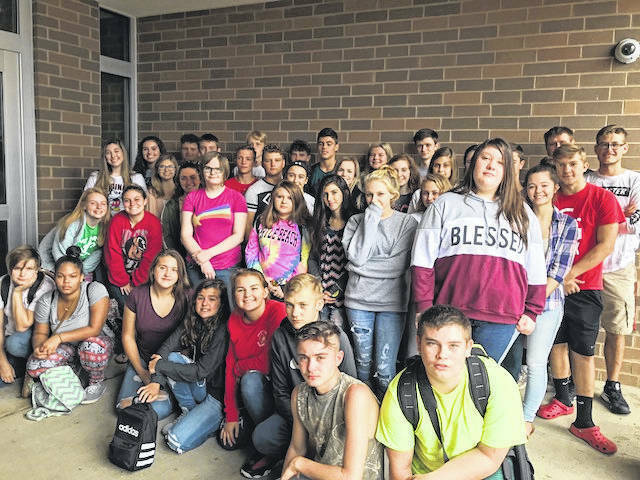 South Gallia celebrated See You at the Pole today with prayer led by Senior Chad Bostic. Juniors Savannah St. Clair and Olivia Johnson sang “He Knows My Name.” The event was attended by several students. River Valley High School students gather for prayer to celebrate See You at the Pole. “It’s nice that we have moments when the students and staff come together. 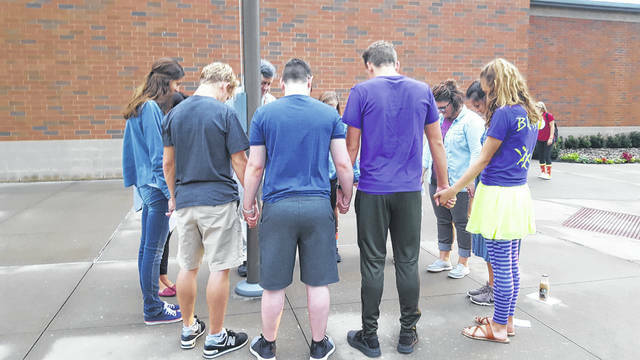 We have weekly Bible study in (Fellowship of Christian Athletes), but it’s good to know that it’s not just kids, that there are other teachers in the school that are walking the same walk,” said RVHS senior Ian Eblin. “This is great way for us to express our faith in school and keep it open to everyone,” said RVHS senior Jose Jones. RVHS students shared passages from Ephesians 3:14-21, Hebrews 4:15-16, the Lord’s Prayer and group prayer.